Once again, the dog days of summer have arrived, and for many gardeners it is all about maintenance. The bugs are always bad at this time of year and the damage they do is very apparent in the damage we see to the plant material we are shepherding through the long, hot, dry days of August. The results of your time and effort in the spring become crucial to the overall health and viability of your plants now. If you are discouraged with the gardening results you are seeing now, use this information as a learning curve to achieve better results for next year. Many avid gardeners keep a garden diary from year to year. A wall calendar makes a great diary. Add the daily high and low temperatures, weather conditions, and what is being done when. Record when perennials bloom, harvesting begins, successes and failures. Pictures are great. It's never too early or late to start that journal. In December and January, when it is time for a long winters rest, bring out your diary and use it as a template for the planning the new season's garden. If you want a certain plant that is not routinely available, now is the time to place an order. This is the time of year when Greenhouse Garden Center personally visits the growing fields of the Pacific Northwest, and we can be looking at what is available for you for the next season. Also, if you are thinking about having landscape work done by our in-house landscape division, this fall or next year, now is the time to make that appointment. August is very dear to our hearts here at Greenhouse Garden Center. This will be the 15th consecutive year of Art At The Greenhouse. We have over 40 artists and artisans booked this year with an amazing variety of talent on display. Jakki Ford, jazz stylist, and Randy Ide, contemporary singer/keyboardist, will be joining us again this year as part of the Carson City Jazz and Beyond festivities. The CHS Band Boosters will have their hot dog stand and we will also have the Nevada Nosh food truck available. Come join us on Saturday, August 11th, between 10 M and 3 PM, and support our local artists, artisans, musicians and community. Mark your calendars. We are excited to have our third Full Moon Madness Sale on Sunday, August 26th, from 8 AM to 6 PM. Don't forget that every time you attend a seminar you are eligible to receive a coupon for 15% off (5) regularly priced pieces of merchandise. Redeem the Bonus Bucks you accumulated in July now in August on regularly priced merchandise. Finally, don't forget to look for the Universal coupon available in each month's newsletter. We have lots of ways for you to save money when you purchase the gardening products you desire. Bring a totally new concept into your landscape with FISH IN THE GARDEN created my Maine artist Tyson Weiss. These colorful schools of KOI bring a fluid aesthetic to any garden space. Where there is no water they imply water. These KOI bring year around color to you garden space and are very suitable as a focal point to brighten up shady areas. Best of all, they will not break in the cold or fade in the sunlight. They can also be submerged in the water. Indoors they can be used as color accents for shelves, table tops, mantles and even in house plants. On the patio, they look amazing in fountains, on stone walls, on patio tables and in dry streambeds. They have just arrived to Greenhouse Garden Center. July flew by and it is hard to believe that summer is halfway over. I hope that you enjoyed all of the happenings and beautiful plant material we had in July here at Greenhouse Garden Center. It is still looking fantastic now in August - and there are lots of cool, shady spots to relax in while enjoying the wonderful bounty of flowering plants, butterflies and birds here at the nursery. This month I want to feature Rose Mallow Hibiscus and Hibiscus shrub, otherwise known as Rose of Sharon. These plants are not members of the rose family, they are members of the mallow family. Both the Rose Mallow Hibiscus and Hibiscus shrub are as close to Hawaii you are going to get while living in the high mountain desert of Northern Nevada. If you are looking for plants that bloom from mid-summer into October, this may be what you have been waiting for. All varieties of the mallow family available here are USDA zoned for 5-9, drought, heat and salt tolerant. They thrive in full sun and are low maintenance. Last, but not least, they attract butterflies and are deer resistant. To choose a good plant, look for a lot of buds. A lot of buds will get you amazing blooms. Hibiscus can be determinate or indeterminate. Determinate hibiscus, like Rose Mallow, grows to full height and blooms at the tip of the stems. Indeterminate hibiscus, like Rose of Sharon, gives blooms all up and down the branches. Rose Mallow is the perennial dinner plate hibiscus. This mallow loves water. Greenhouse Garden Center actually offers varieties in our pond plant section that do grow in water. Rose Mallow is one of the last plants to come out of dormancy, not emerging from the ground until June. My favorite variety of Rose Mallow is Pink Swirl, which I have shown in the banner. Hibiscus shrubs can vary in height from 4 ft. to 12 ft. with a spread of 4 ft. to 8 ft. depending on the variety. Greenhouse Garden Center now has the Azurri Blue Satin variety in stock. This is one of the few true blue blooms available in the plant world. See the picture shown on the banner. We offer many different Hibiscus shrubs in a variety of colors and sizes. Check out our tree form. Come in and let me show you our great selection and enjoy the rest of the summer. Reapply BONIDE SNAKE STOPPER at the beginning of the month. This product is environmentally safe, easy to use, long lasting, and will not harm lawn or vegetables. Test your pond water every month through the summer with Microbe-Lift 5-in-1 Test Strips, closely monitoring the alkalinity and pH. Rising temperatures cause high amounts of evaporation. Carefully add Pondcare pH Down so as not to shock the fish in a rapid adjustment period. Fertilize water lilies every month with Jobes Organic Fertilizer Spikes. Reduce string algae by using a larger pump to move more water. Plant cool season vegetables for fall harvesting. Apply Casoron now to control fall grasses, if you have not used Casoron twice before. Boxelder bugs (black with and orange X on the back) love to eat the seeds of the silver maples and other soft wood maples. These pests can be controlled now by spraying with BONIDE EIGHT. Use FLOREL in the spring, when the trees are blooming to prevent seed germination. 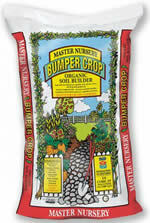 Fertilize the lawn, after the 15th, using Dr. Earth Lawn Food or Master Nursery Mastergreen Lawn Food. Fertilize the garden again too! Continue hosing down all of your needled evergreens with a strong stream of water to help control spider mites. Remember, not all insecticides are miticides. Check your labels carefully to make sure mites are listed before treating for spider mites. Neem Oil is a good all-purpose insecticide, miticide and fungicide - and it's organic, too! Divide and replant any iris beds that are older than 3 years. Greenhouse Garden Center sells over 15 varieties of irises in a variety of colors. The battle with earwigs is in full swing now. Sluggo is an organic bait that can be used to control them. If your plants are getting chewed alive, use Sluggo and traps as well. A simple home-made trap consists of setting out empty tuna cans and filling them with soy sauce, beer, or koolaid. The earwigs will climb in for the liquids and drown. Do not try to spray any big weeds in dry areas at this time because they will not absorb much herbicide. Actively growing weeds in the spring and early summer are the easiest to control. Drain and set in the refrigerator to cool. Cover and let eggs stand in hot water for 10 to 12 minutes. Drain, crumble and set aside.